The Pitons Management Area contains the greater part of a collapsed stratovolcano contained within the volcanic system, known to geologists as the Soufriere Volcanic Centre. 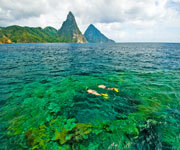 Prominent within the volcanic landscape are two eroded remnants of lava domes, Gros Piton and Petit Piton. 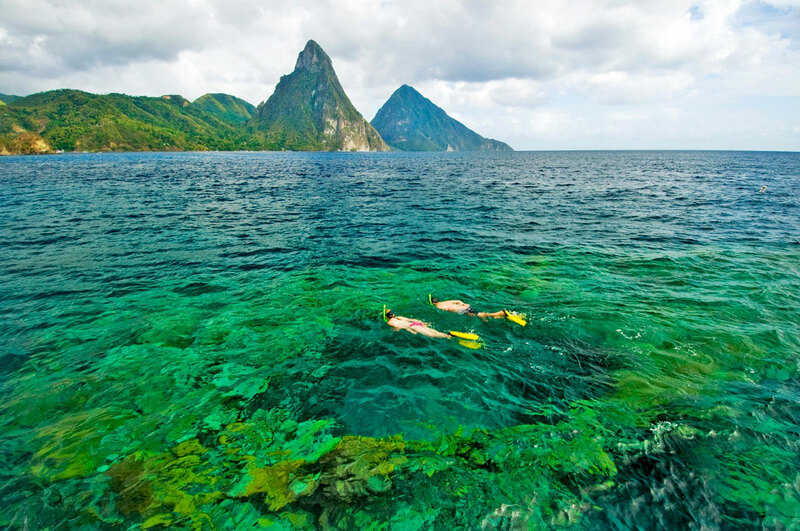 Dominating the mountainous landscape of St Lucia are the Pitons, two steep-sided volcanic spires rising side by side from the sea. 770 metre Gros Piton is 3 km in diameter at its base, and Petit Piton (743 m) is 1 km in diameter and linked to the former by the Piton Mitan ridge. 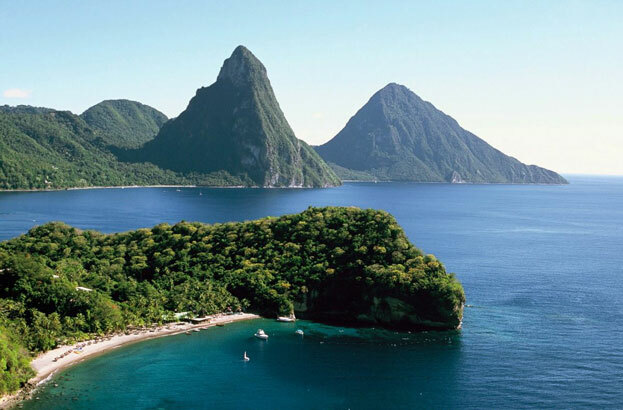 The Pitons are part of a volcanic complex, known to geologists as the Soufriere Volcanic Centre which is the remnant of one (or more) huge collapsed stratovolcano. The volcanic complex overlies a tectonic plate subduction (underthrusting) zone which stretches 700 km along Lesser Antilles, forming a volcanic arc. Browse All UNESCO World Heritage Sites in India. The original UNESCO inscription Here!! !